Why is LeBron James the only one in the photo who isn’t smiling? I know that image has been photoshopped, but its ironic that they pictured the smiling Dwayne Wade and grinning Chris Bosh next to a sullen looking LeBron because I think King James really is unhappy. I think this entire free agency process, James decision to leave Cleveland and now the backlash are weighing heavily on LeBron’s shoulders. I think LeBron is probably second guessing a lot of the decisions he’s made lately. James isn’t going to change his mind on playing in Miami, but I wouldn’t be surprised if he would like a mulligan. LeBron clearly never expected this decision would make him a villain, something that I think is eating away at LeBron inside. He was clearly anxious last night at having to deliver such a tough message (bye bye Cleveland) on national television, but I expected King James to lighten up after announcing his decision. James never did lighten up and instead seemed distracted and upset. There was a lot going on, but I think LeBron realized for the first time yesterday that this transition is going to change who the public’s opinion of him. He’s always been Lovable LeBron and now he’s the guy that NBA fans are going to root against. And he can’t even “go home” because he’s now public enemy #1 in Ohio. What should LeBron have done? * Stayed in Cleveland to try to win a Championship. Or go to New York City and revive that franchise by winning a Championship. I thought the competitor in James would drive him to beat guys like DWade and Bosh, not team up with them. * Met with the Cleveland ownership face-to-face to thank them and tell them that he was leaving. I would hope that if James didn’t have sense to do that, at least one of his well paid agents would have made sure that happened. My opinion of Maverick Carter could not be lower after watching how he’s handled the last few weeks of LeBron’s free agency circus. * Not schedule a one-hour television special to announce his decision to the world. There is a reason PR people exist in this world and this was the perfect time to use one. Don’t play the “I’m bigger than everyone else” game by going on live TV to tell them where you are going to make your next $100 million. Write a $1 million to charity (anonymously), met with Cleveland ownership, call other teams to deliver the news, turn over a statement to a publicity to release and then hop on your private jet for a vacation. I think much of this will blow over in a few weeks and LeBron will be happy with his decision. 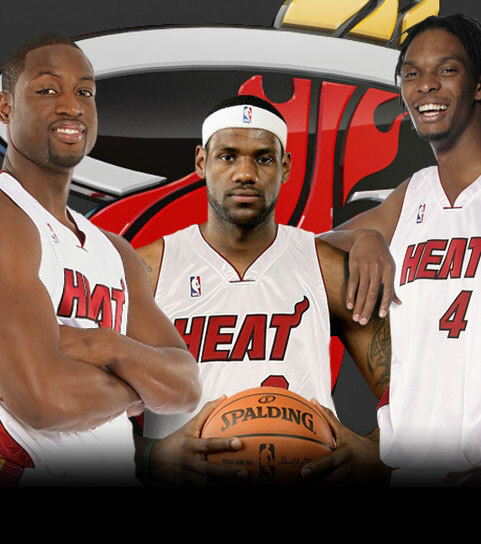 And I do think that James and company will win rings in Miami, but I don’t think this trio will last long-term in Miami. James is 25 & DWade is 28; in 3-4 years the Miami Heat might have to make a decision who they want to resign. I think they’ll choose LeBron due to age which will cause a rift that sends Wade packing for Chicago (his hometown, where he is still welcome). LeBron might idle in Miami a couple of more seasons, but then eventually I think LeBron finishes his career in New York (Knicks or Brooklyn Nets). Do you know Mark Grimmette? Most American sports fans have probably never heard the name, Mark Grimmette. But Mark is a name you need to know because he has been selected by the USOC to carry the American flag at the Opening Ceremonies of the 2010 Vancouver Winter Olympics. Grimmette is a luger who competes in doubles luge with his partner Brian Martin. Grimmette’s team won an Olympic bronze medal in the 1998 Winter Games and a silver medal at the 2002 Salt Lake City Olympics. More here on him at this Wikipedia page about Mark Grimmette. I’ll admit that I had never heard of him before today, but I also probably do not know 95% of the athletes at the Winter Olympics. It is an honor for Grimmette to carry the US flag; so I congratulate him and hopes he brings home the gold. Maria Sharapova is the top female endorsement star in the sports world. Sharapova has competition from Venus & Serena Williams, Danica Patrick, Michelle Wie and Lorena Ochoa; but Maria is still the top endorser among female athletes. Sharapova’s endorsement success has been helped by her good looks; she was named in 2005 as one of People magazine’s 50 most beautiful celebrities in the world. But Sharapova is not just another pretty face (i.e.- Anna Kournikova), she is one of the top players in tennis who has won 3 of the 4 tennis major tournaments. Only in her early 20’s Sharapova is already a global brand, which her sponsors take advantage of by featuring her in advertisements in the United States, Europe and Asia. She is from Russia, but does not endorse any Russian companies. But her lineup of endorsement deals is the envy of any athlete in the world. She has some of the biggest companies on the planet tailoring their marketing campaigns around her name. Canon has featured Sharapova in new product launches which were so successful that they even made Maria’s dog a star. What’s next for the tennis superstar slash celebrity slash endorsement queen? Maybe retirement. Maria has made comments that she doesn’t plan to play tennis for her another decade. She’s said she would like to follow the lead of Justine Henin and retire young so she can pursue other life goals. That means that sponsors who wish to align their brand with the top earning female athlete on the planet better hurry up. Maria Sharapova is in her prime as an endorsement star, but there may not be that many years left for advertisers to sign her if she decides to follow her dreams to raise a family. A great article from Yahoo Sports on Nike’s decision to sign Michael Jordan. The original deal signed back in 1984 was for $500k and a piece of the profits from Nike sales of Jordan products. The deal eventually catapulted Nike from a top sporting goods company to a global brand. * Nike’s total revenue in 1984 (year MJ signed) was $900 million, in 2008 Nike had $18.6 billion in revenue. * No one at Nike had ever met Michael Jordan when they agreed to sign him to an endorsement deal. * Nike produced so much black & red apparel with Jordan that “at one point there was a run on the world’s supply of red-colored thread”. It’s a good article by Dan Wetzel, it’s worth a read. In the 80+ years that General Mills has marketed Wheaties there have been thousands of great athletes featured on their boxes of cereal. Everyone from Andre Agassi to Kristi Yamaguchi have been featured on the front of the famous orange box. Being selected to appear on the cover of a box of Wheaties is quite an accomplishment; one that only the best athletes and teams will ever experience. But as prestigious as it is to appear on a Wheaties box, it is even more so to be named a spokesperson for the iconic brand. Wheaties has only had 7 athletes who were selected to serve as spokesperson for their product. They are all athletes who transcended their sport and were famous around the globe. The seven Wheaties spokespersons are athletes who excelled both on and off the field. There are not published details on how much these athletes were paid by Wheaties to endorse their product. But the distinction of being a spokesperson for a brand so closely linked to sports greatness is surely a thrill for each of these star athletes. Full list of athletes who have appeared on a Wheaties box. Lance Armstrong is going to ride for a new, Amercian-based sponsor when he suits up for the Tour de France in 2010. Armstrong is heading to the new team, along with his long-time team manager, Johan Bruyneel. Together the duo is sure to form one of the top cycling teams in the World. The move is most likely a result of Lance not wanting to share the spotlight with his current teammate, Alberto Contador. The two star rides are on the same team (Astana) this year, which has caused a minor controversy about who should be the lead dog on the team. Ultimately it seems that Armstrong conceded that power struggle to Contador and is helping his teammate to win the 2009 Tour de France. I think when Lance returned this year, he might have initially thought playing a role in helping someone else win would be a good thing. But I think Lance’s performance in the Tour has shown him that he’s still got what it takes to win the toughest race in the World…thus proving wrong some of the idiot writers that said he should race again (i.e.- me). So even though the 2009 race is not yet complete, I am already looking forward to the huge rivalry that will take place next year. I expect Armstrong and Contador to emerge as bitter rivals in 2010, both trying to defeat the other and win the race. This year they both played nice and showed respect for each other because they are on the same team. Next year, as opponents, I think the gloves will come off. Lance knows he can win another Tour de France. And now he knows that Alberto Contador might be the biggest thing standing in the way of that goal. I’m hoping for a ride for the ages in 2010. This year has been fantastic to watch, but the I just escape the feeling that Lance is conceding to Contador because they are teammates. I want to see the two of them compete and hopefully watch Lance win.